Organic skincare and bath products for babies and mums, from shampoos to soothing body balms, which are also suitable for eczema and sensitive skin. Free from paraben, ethoxylate, propylene glycol, silicone, DEA, artificial colour and fragrance. Handmade 100% natural skincare using beeswax and honey from our hives. Ingredients selected for therapeutic properties. Free from artificial chemicals and parabens. Gentle enough for the most sensitive of skin, including eczema, psoriasis, and rosacea. 100% natural skincare for eczema and dry skin, with oils that soothe and moisturise. Handmade by a mum for her son’s eczema. Used by doctors, nurses, babies, children and adults as an effective alternative to steroid creams. Fragrance free. Therapeutic clothing made from medical grade silk specifically developed for eczema sufferers. Proven in published clinical trials and recommended in European guidelines. Children and adult garments available either privately or on prescription. First bed linen to receive FDA approval as a class 1 medical device for the treatment of mild atopic dermatitis. Designed to minimise friction with the skin, dust mite proof, and effective against pressure sores and facial acne. 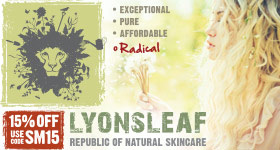 Natural skincare products made using organic ingredients, and suitable for all skin types. Effective in the fight against symptoms of eczema, psoriasis, dermatitis, dry skin and many other skin conditions. Free from mineral oils, steroids, alcohol, fragrance, colour, parabens and peanut. Dreamskin silk garments have been designed specifically for sufferers of eczema, dermatitis and dry irritated skin. Coated with our patented polymer, Dreamskin garments help reduce itch and assist with the moisture and temperature regulation of damaged skin. A range of natural school wear, popular with kids with eczema, made from 100% organic cotton and certified by GOTS (Global Organic Textile Standard) against strict environmental and social criteria. This school uniform is chemical free and produced with natural dyes. One of Europe’s top dermo-cosmetic skincare specialists, with ranges to suit all skin types and target conditions such as eczema, acne, sensitive skin and dry skin. Most products are free from fragrance and alcohol and are non-comedogenic. Manufacturers of Ecz-tend Soothing Cream: a nourishing, regenerative and natural all-over moisturiser for sensitive, dry and allergy prone skin. Helps ease itching and inflammation. Free from common irritants including nut oils, alcohol, SLS, synthetic chemicals and petro-chemicals. 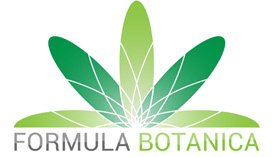 Creams produced using organic botanical extracts, essential oils and other plant-based ingredients. Formulated to soothe a range of skin complaints, including eczema, and gentle enough for the most delicate skin. Free from lanolin, artificial preservatives and petroleum derivatives. Handmade organic skincare, specialising in eczema and sensitive skin. Made with highest quality organic ingredients, free from sulphates, parabens, artificial colours/fragrance. Affordable, calming, and gentle enough for all the family. No animal testing. 100% natural, pure ointment, great for eczema and psoriasis. A fermentation process using probiotics enables it to normalise the skin’s pH to 5.5, while the enzymes in papaya gently break down dead skin. Petrochemical free. UK clothing containing natural pure silver to soothe and protect delicate little skin. Eases the irritation of skin conditions such as eczema and molluscum virus and designed with both healing and style in mind. Soft, seamless, comfortable laundry and garment range designed for those with eczema, psoriasis and anyone with allergies. It is available on prescription or online, and complements the range of Skinnies medical garments also available on prescription. Clothing essentials for children with eczema and sensitive skin, made in Okeo-tex 100 cotton. The covered hand concept allows a child to play easily yet keeps busy fingers from scratching at vulnerable areas which can cause secondary infections. A natural (97%) skincare range for eczema and dry skin featuring soothing ingredients. Formulated to provide effective relief to itchy, dry, minor inflamed skin flare-ups. Free from paraffin oils, paraffin waxes, parabens, and artificial colourings and fragrances. 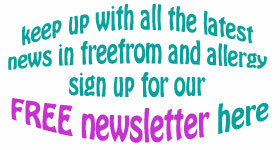 For other products suitable for children with eczema see the babies and children section.